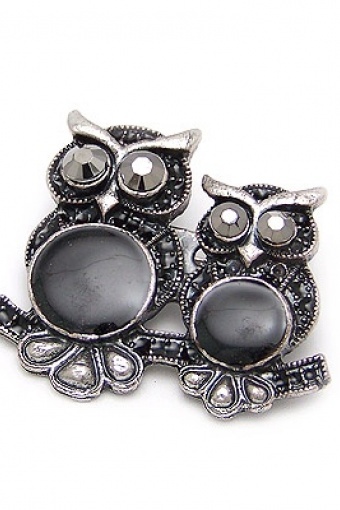 Owls on branch brooch strass silver van From Paris With Love! Pimp your outfit with this chique owlbrooch. In silvercoloured metal, with grey strass eys, black bellies and tiny black strass details.